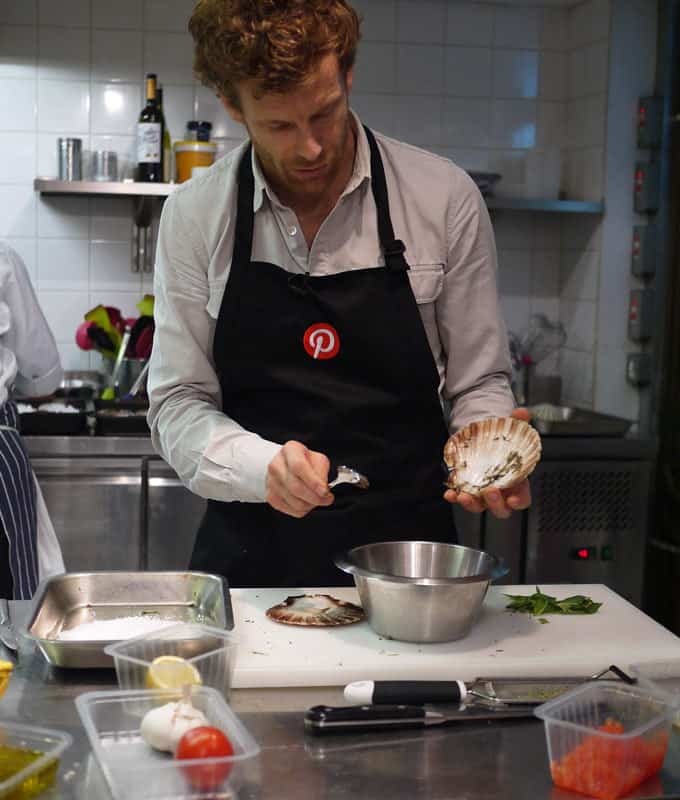 When an invitation landed in my inbox from my beloved Pinterest UK, to attend a masterclass with Tom Aikens, I did not do a good job of playing it cool. I was ridiculously excited to spend the evening with him (easy tiger). 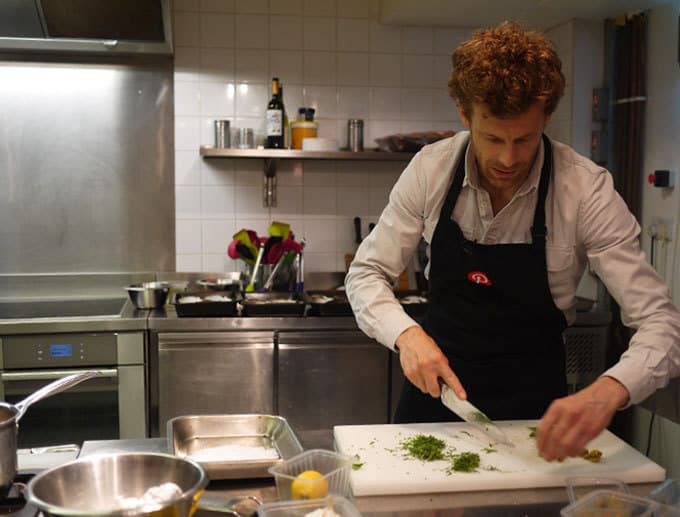 Tom Aikens is a Michelin starred chef with a colourful career history. He is the stuff of legend and I was not disappointed. 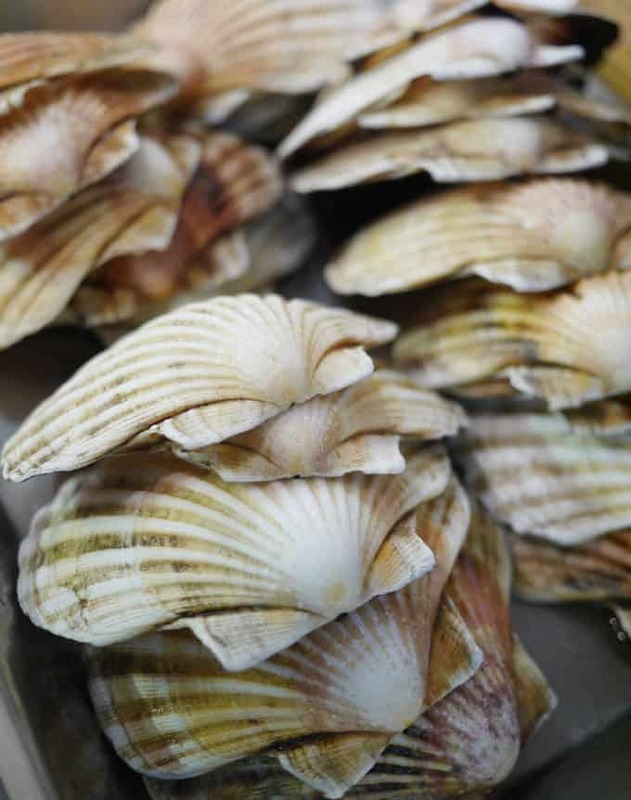 There’s something about a man that can de-robe a scallop with the flick of a fingertip that makes me come over all of a dither. 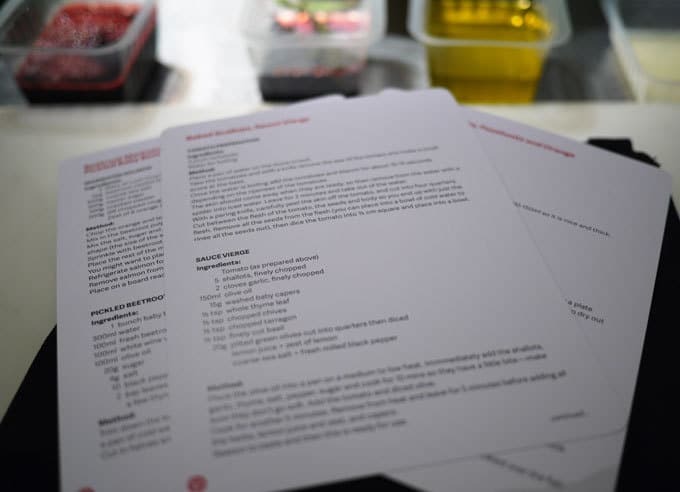 The class was held at L’atelier des Chefs and the plan was for us (a group of 20 pinners) to cook along with Tom, preparing three fish dishes. 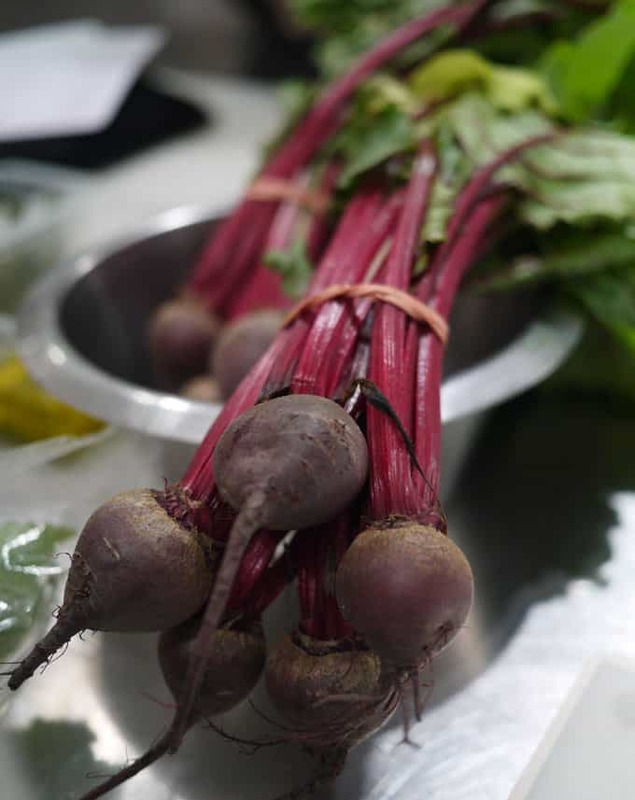 We started by making Beetroot Marinated Salmon, Beet Dressing and Picked Baby Beets. Tom showed us how to pickle beets and carve our salmon. We set about making our own version, whilst Tom showed off his see-through salmon slices. We sat down to enjoy the fruits of our labour. The salmon was totally delicious, fresh but earthy with stunning presentation (I did that bit, did you guess?). I met (and fretted about over-cooking our beetroot with) the lovely Philippa and Nic. 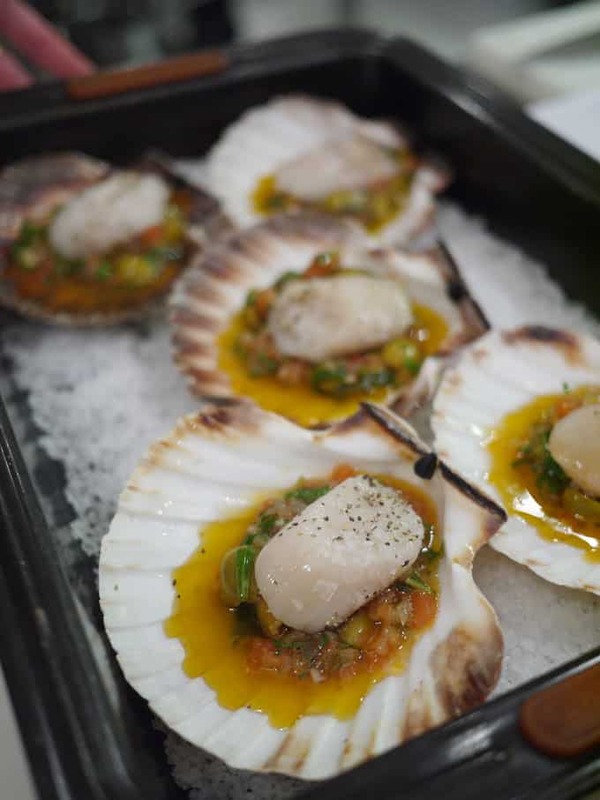 We moved on to the next dish, learning to shuck and clean a scallop for Baked Scallops with Sauce Vierge. We prepared the sauce with fresh, chopped tomatoes, herbs, lemon juice, olive oil and capers. Popped a dollop in each shell with a scallop on top. 5 minutes in the oven and they were ready. The bold, fresh taste of the Mediterranean paired with plump, creamy, quivering scallops made this my favourite dish of the night. Our final dish before parting with Tom (alas…) was Seabass with Herbs, Peashoots and Orange. 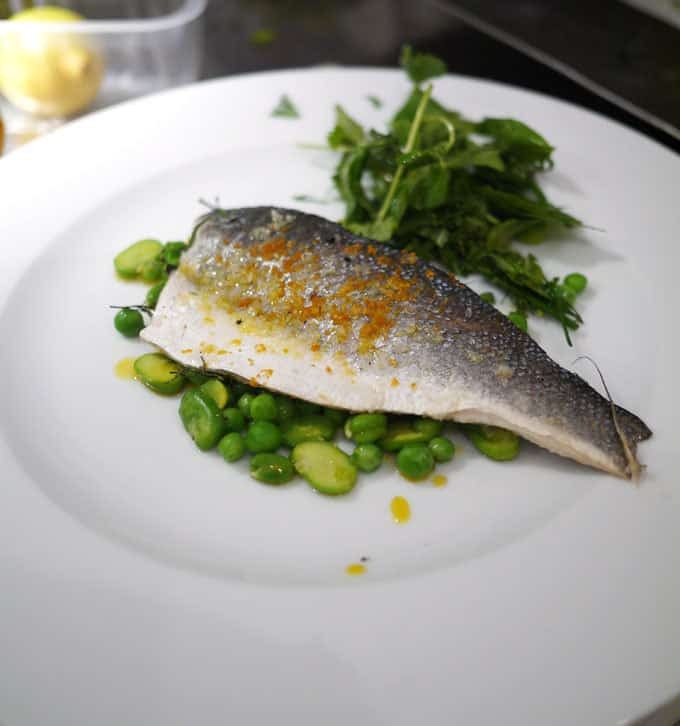 We made a zingy orange dressing and baked our seabass topped with zest ‘powder’. Sitting down together, the room was busy with chatter and the groans of food appreciation. 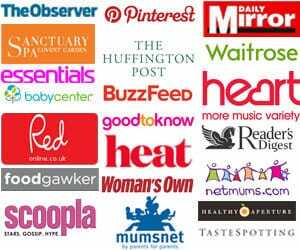 It was a brilliant opportunity to meet creative and inspirational people, where no one asks “why are you still pinning photos of bacon stuffed muffins at 1am?” or “do you think there may be too many recipes containing Nutella?”. I was amongst my people. A super evening that reminded me that fish really is fast food, that fresh simple ingredients are the way forward and it’s probably slightly inappropriate for a married, 30-ish year old mother of two to have a crush on a chef. Oops. 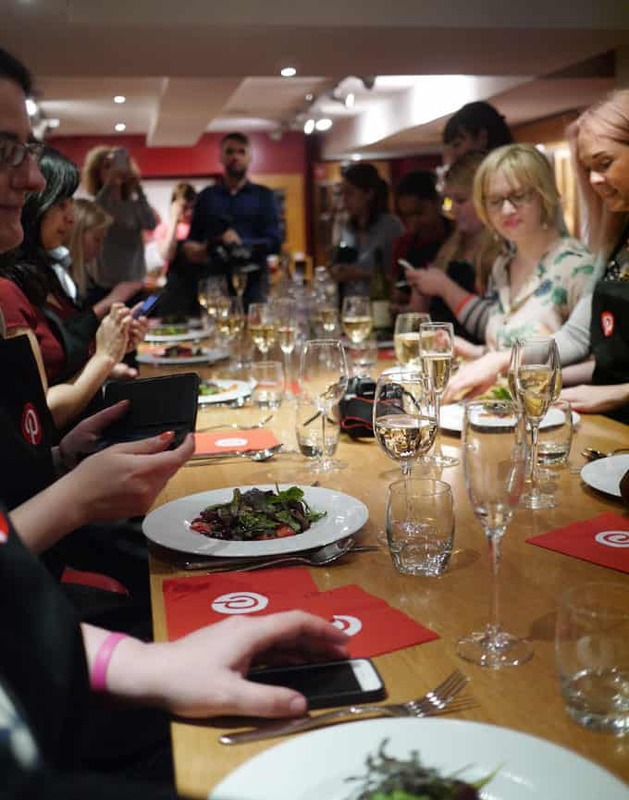 Thank you to Pinterest UK for inviting me. You can find me madly pinning here: Taming Twins on Pinterest. 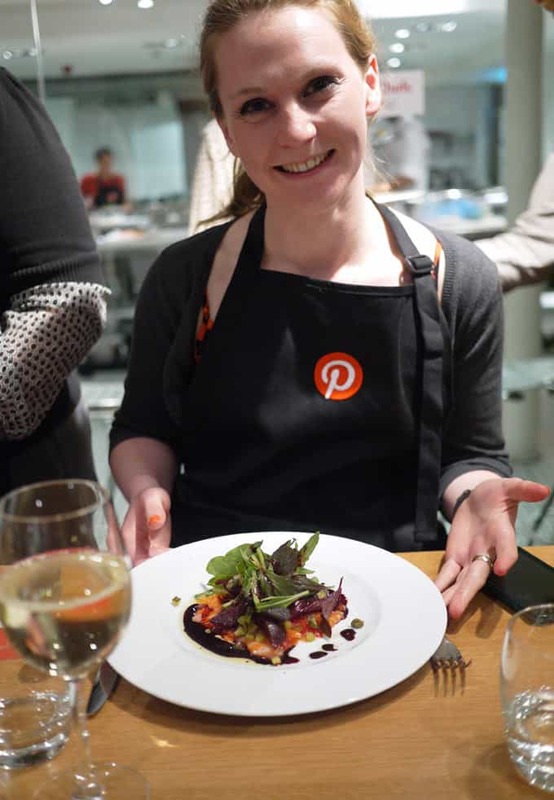 I was just thinking then – about last night’s Pinterest event – “blimey she wrote that up quick” but this is something entirely different! Looks fun too and a good chance to meet up with other Pinning fanatics! Yes, I’m just slow.. You’ll see last night’s here sometime in November probably, oops! Sounds like a great event! 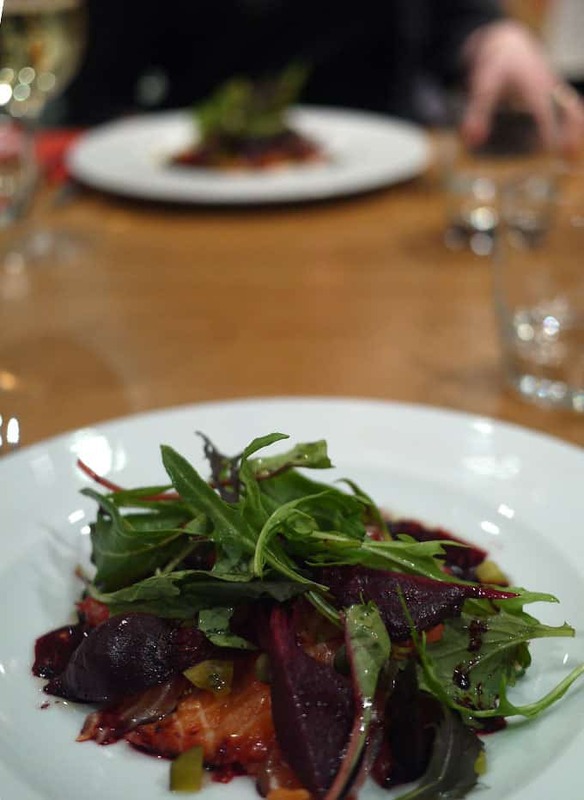 The beetroot and salmon dish looks really good. It was fab Dani, amazing what a brilliant dressing can do too. It’s the truth though, right? NEVER too much Nutella! I love the animated picture, never seen this on a blog before, great fun. Isn’t he a interesting chef? I had breakfast with him (…….at an event) learnt lots. Oh I really wanted to go to this event so it is great to admire your photos and imagine how good the food must have been!